Arthritis is a broad term referring to inflammation of a joint leading to degeneration and destruction of the joint. Many conditions fall under the umbrella of arthritis. Some of these include the well known osteoarthritis (OA), which is associated with wear and tear activities, autoimmune associated conditions such as rheumatoid arthritis (RA) and ankylosing spondylitis (AS). Arthritis is common and becomes more so in older populations. In 2008, according to Statistics Canada, 33.8% of senior males and 50.6% of senior females reported experiencing arthritis. Unfortunately, it does not just impact older individuals. 17.2% of males and 24.8% of females aged 45-64 report having arthritis. As a chronic condition that impacts daily activities, managing arthritis and its associated symptoms has a huge impact on quality of life. Naturopathic doctors are well tuned to working with chronic conditions and can provide a variety of tools for those suffering from arthritis. There are some general common symptoms associated with arthritic conditions, but a patient’s experience can differ vastly from another. For this reason, naturopathic doctors will provide an individualized treatment plan to best suit the needs of each patient. Most patients report joint pain and swelling and decreased or painful joint motion. Some types of arthritis are better with gentle movement, while others are exacerbated. In general, any form of arthritis is best treated early when there are only mild symptoms present. As the condition progresses, it becomes more debilitating and has a serious impact on quality of life. Because naturopathic doctors address all aspects of a person, treating the mental and emotional components of health is especially vital in later stages of arthritic conditions. Eating a diet rich in whole, fresh, organic foods supports the body in decreasing inflammation. Including wild fish, free range or organic poultry, leafy greens, nuts and seeds will be benefit those with arthritis. It is equally important to decrease consumption of processed foods, simple sugars and carbohydrates, and starchy veggies such as potatoes. There are many specific diets that are often prescribed to those suffering from arthritis. These include, but are not limited to the general anti-inflammatory diet, autoimmune paleo diet, and Mediterranean diet. Eliminating allergic foods is also helpful in decreasing the burden on the body as these create inflammation in the body. Increasing foods that support tissue regeneration such as bone broths is also often recommended. There are numerous formulas for managing inflammation and collagen repair that are commonly prescribed. These formulas include a variety of amino acids, vitamin cofactors in tissue building, minerals, and herbs. Optimizing intestinal absorption is key in ensuring patients receive a therapeutic dose. The best response to these formulas is observed in early osteoarthritis. For autoimmune arthritis conditions, there are immune support formulas that can benefit patients. Physical therapy, strength conditioning, and regular exercise are vital in managing pain and maintaining joint motion. Massage and other body therapies can also support patients. Acupuncture is another modality used by many naturopathic physicians in the management of arthritic conditions. Mild to moderate OA also responds incredibly well to regenerative injection therapies. These therapies include Prolotherapy and Platelet Rich Plasma (PRP). 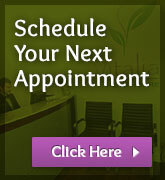 Naturopathic doctors who offer these treatments have received extensive post-graduate training. Prolotherapy involves injecting dextrose into a joint space to increase inflammation in order to trigger the body to heal the area. PRP provides the building blocks and growth factors to help regenerate an area. Arthritis due to autoimmune conditions needs to be treated differently. The priority in these cases is to try and balance the immune system so it is not as reactive. Looking into food allergies, hormone imbalance, stress, nutrient testing may be required to find imbalances. The therapies discussed above can be used alongside treatments that target the immune system dysregulation. Arthritis can greatly impede quality of life. Naturopathic doctors have a unique set of tools to support patients in management of symptoms and improving motion and pain. There are gentler modalities that can be used in conjunction with lifestyle modifications and dietary changes as well as more intense treatments. If you are suffering from an arthritic condition, call us today to speak to one of our naturopathic doctors to create an individualized and comprehensive plan to support your needs.